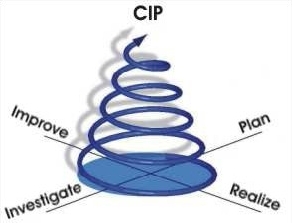 The continuous improvement process (CIP) is a well established method for short-time improvements of manufacturing systems and processes. The central idea of the CIP is to take direct advantage of the worker�s expertise by integrating them into the improvement process. On a regular basis, a CIP workshop is arranged where workers can report on bottlenecks in the production and solutions are elaborated. Many activities of a workshop, such as analysing current manufacturing processes or identifying improvement potentials, are performed within the physical working environment. This impairs the ongoing production process and may cause unwanted production downtime. 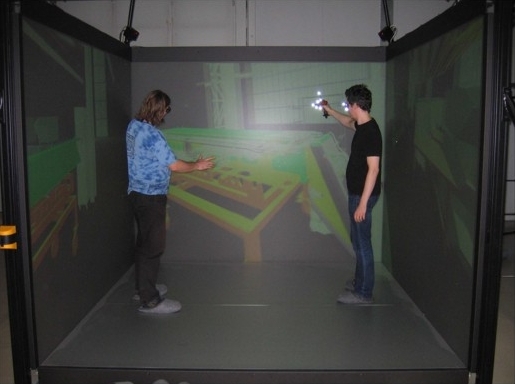 A promising approach is to decouple the elaboration and evaluation of improvement measures from the ongoing production using the Virtual Reality-technology (VR). This way, flaws can be avoided and multiple variants can be compared before the expensive process of implementing changes on the production line is started. links to additional information, like rigid body simulations. Then we start optimizing the assembly line by trying out changes in the layout of the hall and the assembly process. We visualize the improvements by playing animations or physical simulations on a laptop or a personal computer in a first step. If we feel that there are still improvements that can be done, we restart with optimizing the hall and the process. 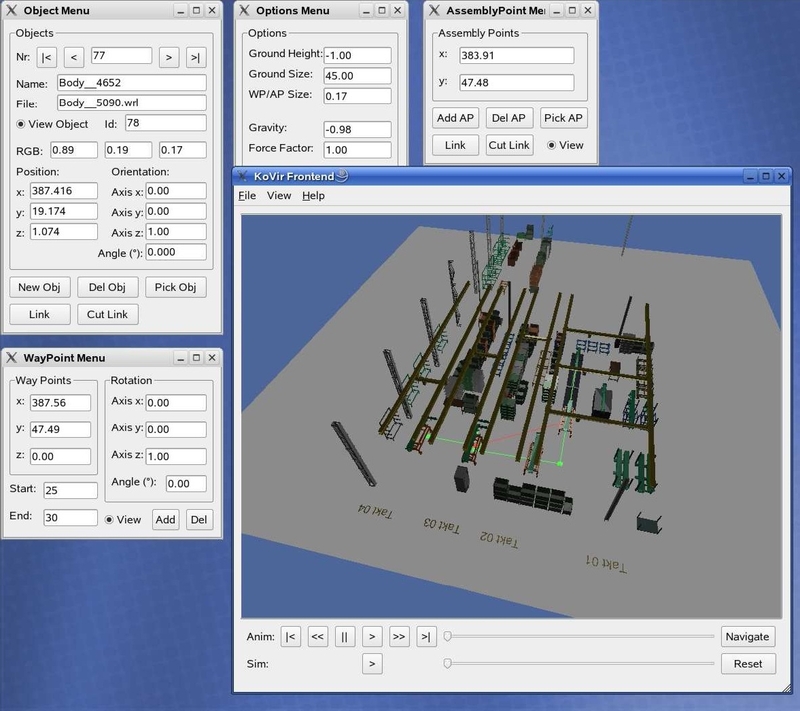 If we are satisfied with the results on the desktop computer, we export the assembly line to a Virtual Reality environment for further evaluation. In this step we can integrate the workers directly in the virtual assembly process and test the solutions. If the workers still report bottlenecks we can go back to the optimization step and apply the changes suggested by them. The elaboration of solutions on the desktop computer and the transfer to the Virtual Reality environment work very fast, so that there are no big waiting times and several approaches can be tested in one CIP-workshop. Finally when we are satisfied with all simulations on the personal computer and in the VR environments we can implement the changes into the real world assembly line. I am no longer working on this project. You may download the project thesis and the master thesis on this site. My work may be continued by the University of Kaiserslautern or John Deere Werke. Please contact them for further information.